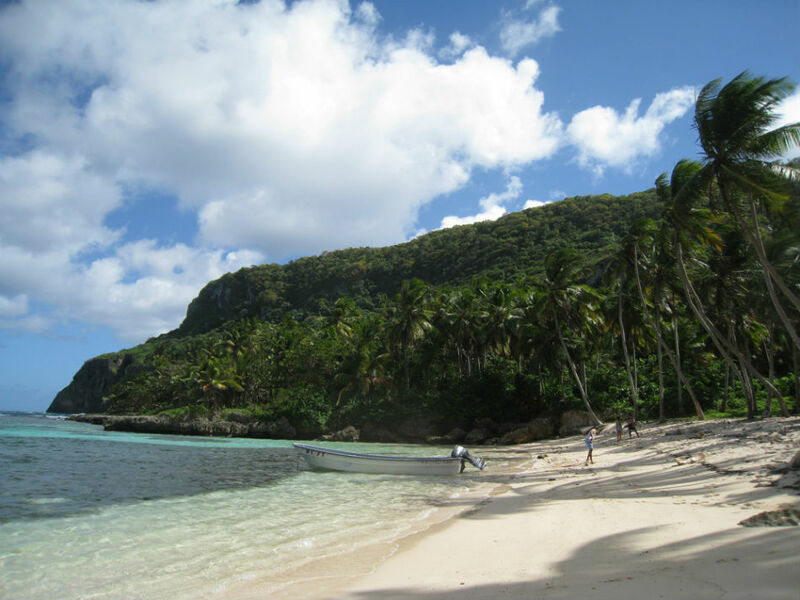 Discover Playa Madama beach in a boat-taxi or explore its surroundings in an hour-long hike reaching the beach along one of the two parallel paths of 600 meters that are surrounded by tropical forests. Its charm is mainly due to its isolation from civilization, since you have to go down along a steep slope to reach it, full of rocks and vegetation that gives the beach a jungle environment. A cave hidden in the rocks can be visited using a torchlight or, if you prefer, avoid speleology and take a refreshing bath before going back. Even when it is likely to find people selling coconut water, you must not forget carrying water to be hydrated along the trial. Also, don’t forget that on the way back, you can take a different path to watch new landscapes enriching the experience. This beach is very close to Playa Frontón beach, so if you are on a boat, you can easily go from one to the other. Las Galeras, Samaná peninsula, Dominican Republic.